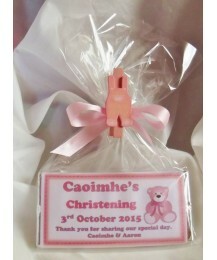 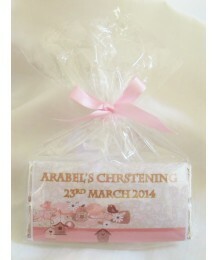 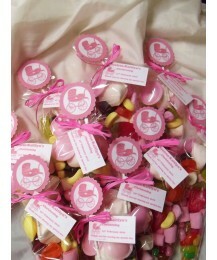 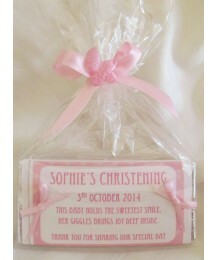 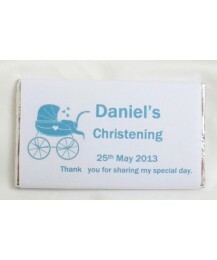 40gr milk Chocolate bar personalised with the baby's name, date of the Christening and a Thank You..
Personalised children bar with an the image of a pink pram.This chocolate bar is available in 3 size..
"Precious baby so sweet and new, the world is waiting just for you"Celebrate your baby shower with t..
Beautiful personalized 40gr chocolate bar with an image of baby booties and the wordings:"A little m..
Personalized chocolate bar. 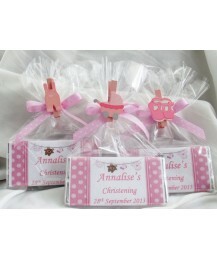 Available in 3 sizes, see below. 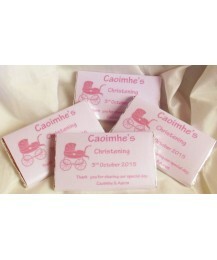 If you wish to avail of the optio.. 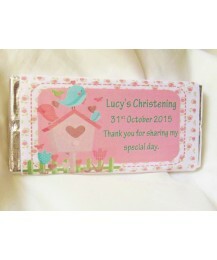 Printed on a shimmery white paper, this personalized chocolate bar not only it is really cute, but i.. 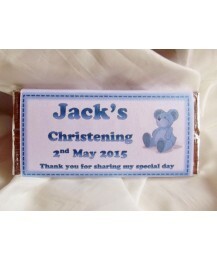 Printed on a shimmery white paper, this trendy 40gr personalized chocolate bar with polka dots and a..
Personalized 40gr chocolate bar with a 2 tone blue frame design and 2 satin bows attached to each si..
Personalized 40gr chocolate bar with a 2 tone pink frame design and 2 satin bows attached to each si..
Beautiful personalized 40gr chocolate bar.Available with just the wrap or gift wrapped in cellophane..
A winning combination, sweet cones and matching children's chocolate bars to delight your little gue..
Personalised 40gr milk chocolate Christening chocolate bar. 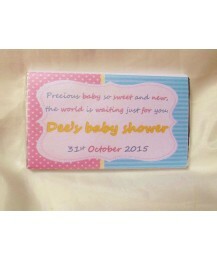 Each chocolate bar is &n.. 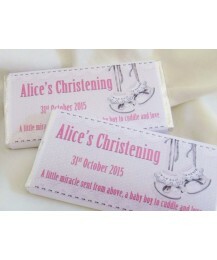 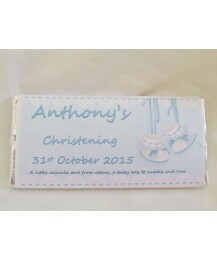 Milk chocolate bar with your baby image printed on gold shimmery paper.Any message of your choice ca..
Personalised 40gr milk Christening chocolate bar. 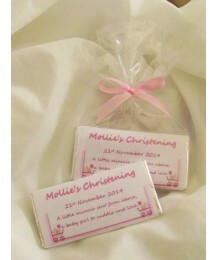 Each bar is wrapped in Premium Parchment white.. 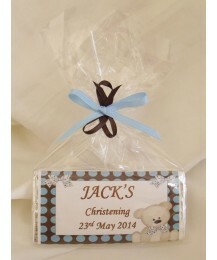 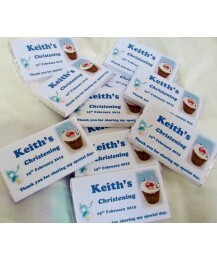 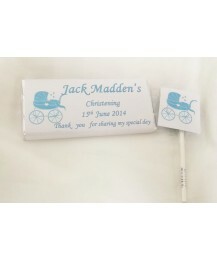 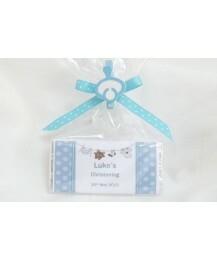 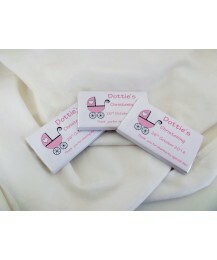 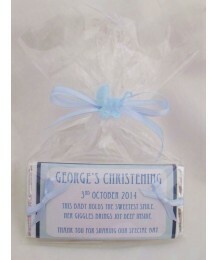 Milk chocolate bars personalised with the name of the baby, date of the Christening and any message ..
Personalised 40gr milk chocolate bar for Christening Each bar is wrapped in Premium Parchment wh..
Personalised children bar with the image of a blue pram.The chocolate bar is available in 3 sizes: 2..
Personalised chocolate bar with the image of sweet little baby boy.The chocolate bar is available in..